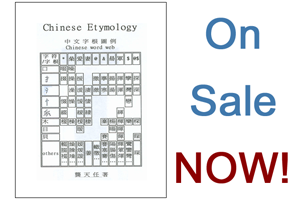 Read through Lesson One (Chinese Etymology). Practice writing each word root with the correct pen-stroke sequence and memorize the form and meaning for all 220 word roots. Glance over (do not analyze) the words listed under each word root. As stated in the objectives, we notice that word roots can appear with slight differences in form. Remember that there is always a consistent form of the word root as a root. A word root may or may not have variants. Recall that some word roots are stand-alone words (RTA words) and may have a different form when used as stand-alone words. Also, be aware that when a word root is implemented as a radical of another word its implemented form may vary slightly from its original form. At this point, we do not want to try to memorize all of the differences in forms; Lesson Two will provide a greater understanding, and Lesson Three is almost entirely dedicated to sorting out these confusing differences. Simply be aware that some differences exist. Our last objective is realizing that there are some limitations in today’s computer-printing technology. This is a technology problem and can otherwise be ignored. It is only mentioned here to clarify that some word roots in their “printed” form look identical; however, they are different word roots and have different meaning. The following lessons and our experience will help us to discern between similar-looking word roots. I began my studies and Assignment 3 on March 17, 2008 and I completed Assignment 3 in only nine days on March 25, 2008. Learning the 220 word roots was an amazing experience for me! I noticed that every time I learned a new word root, I began to see that root pop out or become visibly obvious to me when looking at several other Chinese words, even without being familiar with the remaining strokes of the words. 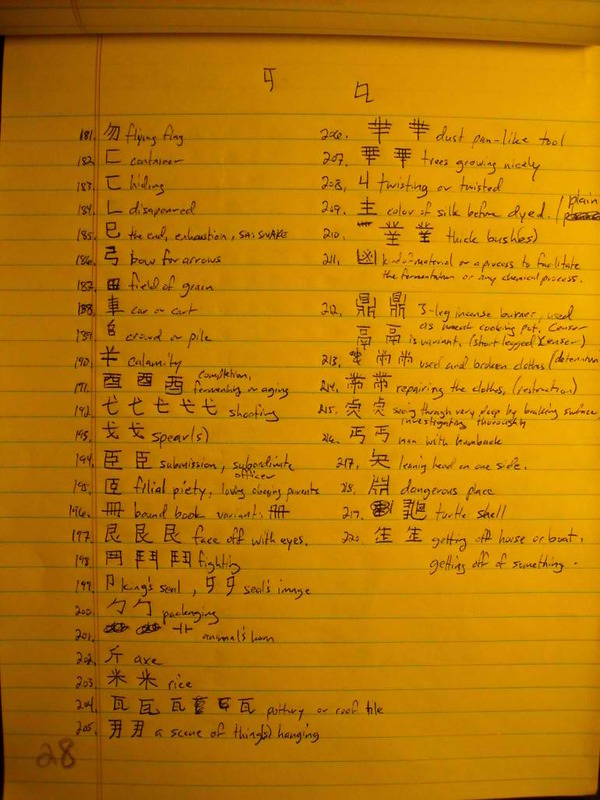 The more word roots I learned, the less Chinese words looked like random scribbles. 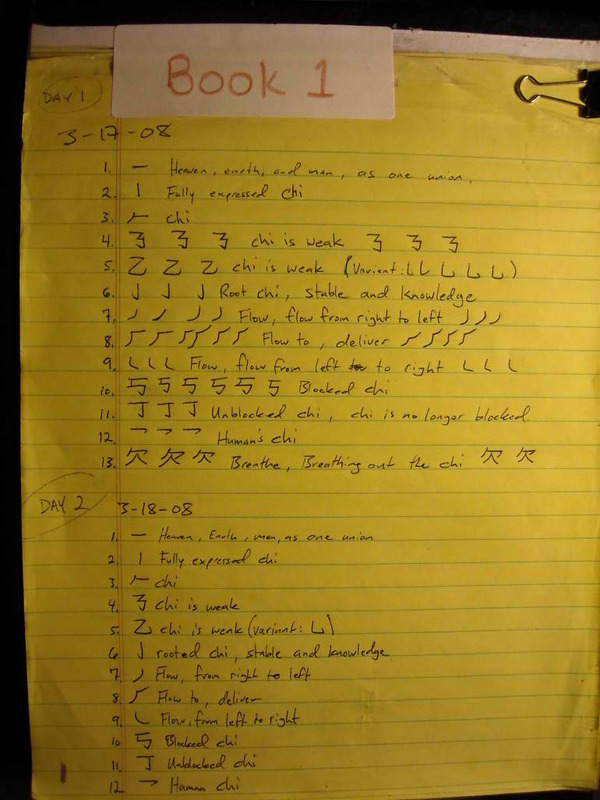 It was very fascinating to me that I could look at a Chinese word that I had never seen before and determine the word’s containing roots and also know that the word pertained to those roots in some way. I remember talking to a patron at the library where I was conducting my studies and explaining briefly to him about the word root system. He showed me a word and I recognized that it contained the word root variant for “water”. Although I did not know exactly what the word meant at the time (I had only studied for a few days), I told him that it was something relating to water or liquid. He was amazed because the word he had shown to me was “oil”. It was at that moment when I had a very strange sensation. I realized that for the native Chinese it normally takes years to learn what I was learning in hours and days. For a brief moment I felt a great pity come over me. I thought, why were so many people led to strife and struggle when presented with this language in years past? 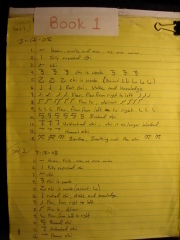 I concluded that before now, no one had ever known the truth that the Chinese language was a word root language, or if someone had known, it was never made public. The pity was then quickly replaced with determination and purpose! I knew that I was doing something unique and totally new! 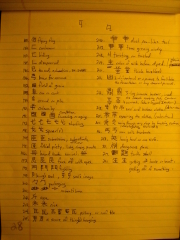 I wanted to make this system known to everyone who desired to learn Chinese and to prove the system’s validity. I knew that in order to do that I would have to learn Chinese faster than anyone in the world had ever imagined possible! And that is exactly what I planned to do!